Unknown woman: Shall we get started? Group: God, grant me the serenity to accept the things I cannot change; courage to change the things I can; and wisdom to know the difference. Anthony Scaramucci: What a load of horses–t. Reince Priebus: Tony! We’ve discussed this. It’s important we turn over our recovery to a higher power. Now, please, let’s welcome our newest member, Steve. Steve Bannon: Hi, I’m Steve. AND THERE IS NO HIGHER POWER THAN ME. I MADE THIS FREAKING PRESIDENCY POSSIBLE AND I CAN TAKE IT AWAY! Woman: Um, yes. We’ll review the 12 steps later…OK, let’s get started. Jim, do you want to go first? 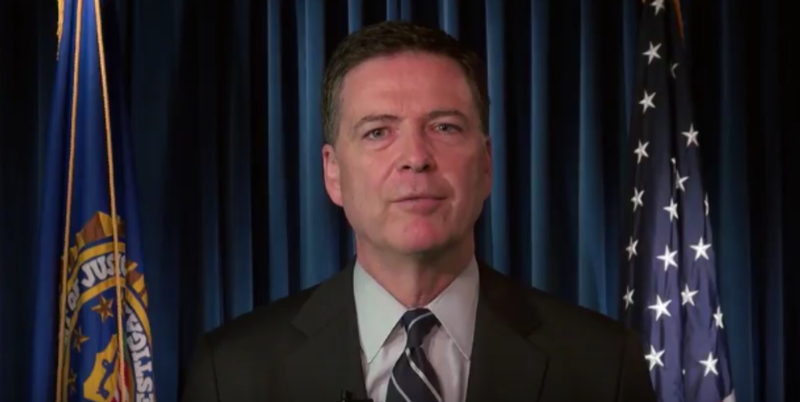 James Comey: My name is James Comey and I was fired by Donald Trump. Michael Flynn: Hello, testing one, two, three. Testing. Can anyone hear me? Is it on? Sally Yates: Point of order. I think we start with our name and then that we were fired by Trump. [Sound of rustling shrubbery; man’s voice]: My name is Sean and I was fired by Donald Trump after his popular vote landslide and hugely attended inauguration, which photographs prove if you look at them with one eye closed. Priebus: Sean, we’ve all been fired. We don’t have to lie anymore. Scaramucci: My name is Anthony and I was fired by Donald Trump. It’s been three f—-ing days since I lied. Yates: Guys, we’re here to move past our problems, not rehash them. And that was a lie, too, Tony. Comey: According to my contemporaneous notes, there was no agreement not to rehash problems. Bannon: To betray me after all I did to get him elected! Probably did it for 30 pieces of silver from Jared. Priebus: Steve! That kind of anti-Semitic talk is wrong. Independents hate it and we have a mid-term in just over a year. Chris Christie: Hey guys! I was just wandering around because some idiot closed the beach! And the traffic on the bridge is a killer. What’s going on here? Yates: Point of order. Governor, this is for people who have been sacked for insufficient loyalty, thrown under the bus or otherwise scapegoated by the president. Christie: How about being deep-fried and kicked to the curb by him? Does that qualify? Scaramucci: But it wasn’t him! I still support the president 110 percent. It was the g-dd–n lame-stream media that got me fired. Comey: Can you all promise me no one will get their book out before mine hits the stands? Yates: Can you all promise me that none of the rest of you will run for Senate before I do? Bannon: And if you read it, you’ll remember it authorizes me to garrote you for even disclosing it exists. Priebus: Ummm…but now that you’re out, Mr. Bannon, you’re no longer bound by that? Right? Christie: Bring it, Dimbart Man. You’ll have to get through me to beat up this poor little Priebus kid. Comey: So many threats. You’d think this was the Gambino crime family. Scaramucci: They were the best 10 days of my life [sobbing]. Flynn: Is it hot in here? My shirt is itchy. [Door knocking; unidentified woman speaking]: May we help you? [Multiple voices]: We’re the president’s manufacturing council. There’s another limousine behind us — I think it’s the council on culture and arts. And a few more behind that one, too. We’ve all quit. Yates: Technically, this group is for those he sacked, not those who quit. We’re going to need a lot more chairs if we invite everyone who now feels disappointed, let down or appalled by him since the election. Priebus: Yeah, several million more chairs, based on the latest polls. Bannon: Why the hell are we all here? We have nothing in common. Comey: Well, we all got fired by you-know-who. Sally and I were not loyal enough and threatened to do our jobs. Sean Spicer: And me, Tony and Reince — am I saying your name right? — we got the axe because we couldn’t control the fake news. Or the leaks. Or the things tweeted at 3 a.m. from the White House men’s room. Priebus: I went from leader of the Republicans to presidential floor mat and flyswatter. So don’t feel special. Scaramucci: Wait! I think I hear another f—ing limousine parking outside this f—ing place. Comey: I wonder who his next victim could be — seems like nobody is safe from his sociopathy. Yates: Is that who I think it is? Priebus: I think it might be — I would recognize that profile anywhere. Bannon: I guess there really is no hiding from the past. Group: Good evening, Mr. President! Flynn: Come in base camp. Come in base camp. The package has arrived. Repeat, the package has arrived. Video drop was successful. P.S. — A thank you to Greg Dauphin for suggesting we assemble this crew. This originally appeared in the August 26, 2017 Waco Tribune-Herald. David Gallagher is a transplanted Texan, living and working in London, tweeting @TBoneGallagher. David Schleicher is an attorney who splits his time between Waco, D.C. and Houston, tweeting @TheContranym. 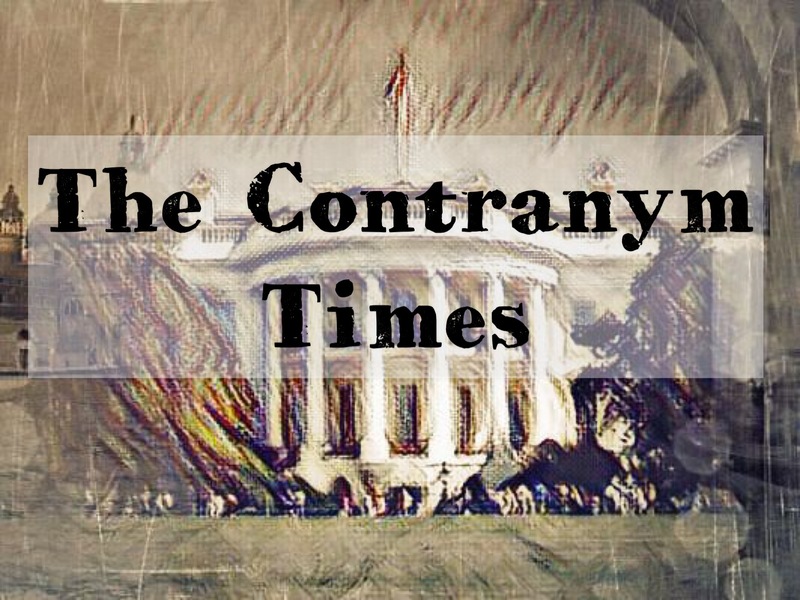 Next Post: Can Donald Pardon The Trump Organization?